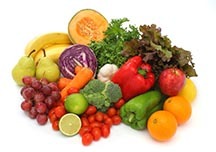 2019 PRODUCE SEASON is from mid-May through mid-July. During this time we are likely to experience shipping delays due to transportation availability and can require appointments to be rescheduled. If you traditionally arrange your own freight, be aware that our transportation broker will be under similar constraints and may not be able to provide a timelier alternative. Hi Visibility Quick-Sorb Spill Pads Dispenser is ideal for use with chemicals, bio-fluids or anywhere high visibility is needed to indicate caution or awareness. Safely absorb all fluids including including oil, coolant, paint water, blood, acids, bases and other liquids. Quick-Sorb Spill Pads are also available in universal and oil only dispensers. Oil-Dri Garage Guard protects floors and reduces slippage. Absorb oils, coolants, grease, paint, water and other spills. Liquids won't penetrate the indusrial strength poly backing. Won't rip or tear even when saturated! Great for many uses. Oil-Dri Universal Bucket Spill Kit stores easily in vehicles or areas where quick response is a must. Packed in a handy reusable pail, these universal absorbents are can handle up to 5 gallons of any fluid. L90435: Kit contains 15 universal bonded pads, 2 super absorbent socks, protective gloves, and a disposal bag with tie. Dedicated to the continued development of innovative sorbent solutions while providing the same commitment to distribution since 1941. Download the catalog (left) to see our entire family of absorbent products. For more information about joining our distribution network, email sorbentinfo@oildri.com. What color to use? Did you know a color coded system was developed by the industry to better understand the waste stream. Yellow sorbents are used for hazardous fluids and indicate caution when disposing. White sorbents will only absorb petroleum based fluids and repel water. Grey absorbents are general purpose and can be used anywhere. Use the right absorbent to handle the job at hand. This is a pig. Pigs are best known as being suppliers of pork, ham, and bacon. 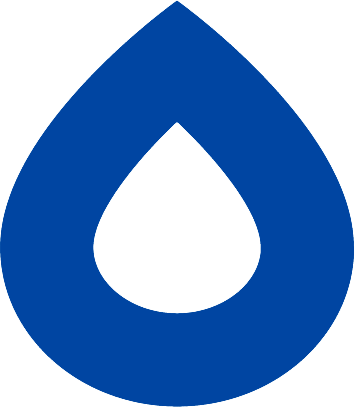 Oil-Dri is best known as being suppliers of the high quality absorbent clay that has made them a leader in industrial markets since 1941. 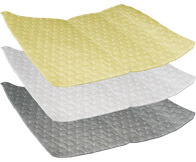 Oil-Dri is also a proud supplier of absorbent pads, mats, rolls, socks and spill kits. Please do not confuse this animal with the fine products offered by Oil-Dri. Just for fun ... Oil-Dri's version of the famous 1979 commercial. This spot features "Clean Joe Green", a warehouse maintenace worker, who tosses a full bag of Oil-Dri at a young boy who idolizes his cleaning skills. 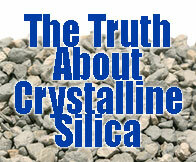 ﻿ What is crystalline silica? Crystalline silica is one of the most frequently occurring materials on earth and its most common form is sand. Trace amounts of crystalline silica are present in Oil-Dri clay products. Why does OSHA care about crystalline silica? Airborne dust containing crystalline silica can be a respiratory hazard and has been regulated by OSHA for decades. Workplaces that contain high levels of certain kinds of respirable crystalline silica can be a safety hazard for workers. OSHA recognizes that silica particles that aren’t small enough to be airborne are not a problem, otherwise sand beaches would be off limits without wearing full respirators. What is considered a “high level” of respirable crystalline silica? Extremely dusty work environments, such as minerals processing, concrete work, rock cutting or sandblasting, are the main focus of the OSHA silica regulations. Spill clean up with Oil-Dri on a typical warehouse floor does not by itself raise issues with the regulation of silica dust. Are Oil-Dri clay absorbents safe for everyday use? 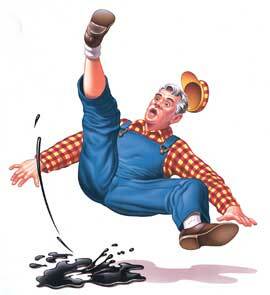 When you pour Oil-Dri on a spill, only a negligible amount of dust is created, and only a small portion of that dust contains crystalline silica. We have conducted tests to calculate the average dust exposure when working with clay absorbents and have found that a worker using clay absorbents over an 8 hour shift would – in the worst case-- be exposed to less than 1/4000 of the OSHA permissible exposure limit. In short, use of clay absorbents is irrelevant for determining if the OSHA regulation will apply to the workplace. Then why the warning label?